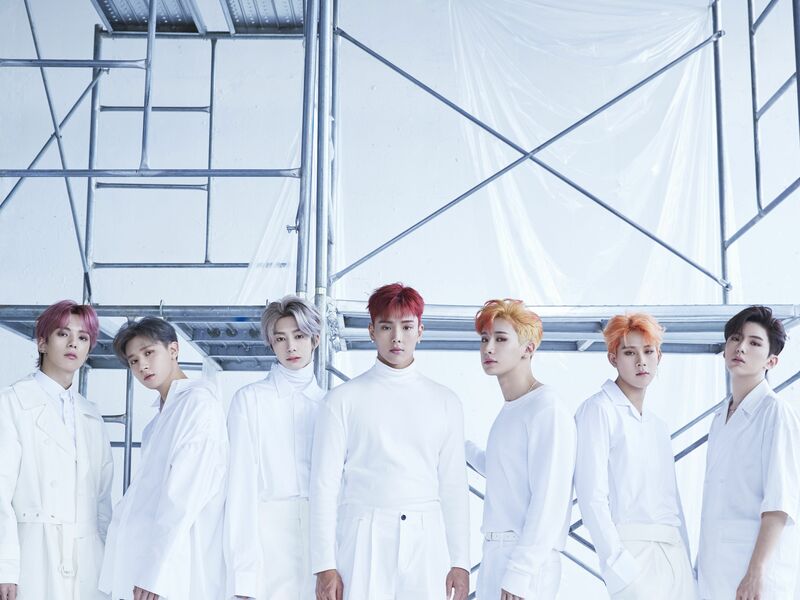 The seven members of K-pop group Monsta X don’t simply ask for your attention; they demand it. Their latest single, “Shoot Out,” is no exception. It’s loud and aggressive — reminiscent of the septet’s earlier work on songs like “Trespass” — with a thundering beat, slick pop-rock chorus, and sensual visual. And it’s been stuck in my head since it dropped last week. “Walker walker walker growling” is extremely catchy, OK? “Shoot Out” is the bombastic lead single off the group’s sophomore album, Take.1 Are You There?, and its striking visual hints at themes of darkness and light. The sumptuous music video also highlights what makes Monsta X one of the more compelling acts in K-pop at the moment: their duality. They’re equal parts dangerous and playful with an in-your-face energy that refuses to be ignored. They serve angst with chokers, harnesses, faux eyebrow rings, and smoldering stares, while wearing unbuttoned coveralls (sans undershirts, hallelujah) and magically shaking their exposed pecs in a way that I didn’t think was humanly possible. Seriously. What sorcery is this, Shownu?